Nearbuy Paytm Offer : Nearbuy is giving Rs 1100 cashback in your Paytm wallet when you buy this deal from Nearbuy. This deal was earlier called as the Groupon Paytm Offer. Now Groupon had been evolved into Nearbuy adnshifted their all deals to Nearbuy. This Deal is priced at Rs 1001 when you buy this deal using your Paytm Wallet. You will receive Rs 1100 Cashback in Your Paytm Wallet within 3 working Days. Grab this deal before it expire. This Nearbuy Paytm voucher will give you cashback of Rs 1100 within 3 days of its purchase. You will get Paytm cashback upon the purchase of this Nearbuy Deals. Nearbuy Paytm Offer – Pay Rs 1001 and get Rs 1100 Paytm Cashback [one time only]. 1. Go to Nearbuy Paytm Offer Page Click Here . 2. Add product in your cart. 3. Select your address, mobile number etc and proceed to checkout. 5. Your cashback of Rs 1100 will be credited into your account after 3 days. 1. You cannot apply any Discount voucher to this deal. 2. Your cashback will be credited only to that account to which you are paying with. 3. Valid for only once per user. 4. Use only Paytm Wallet to Pay this amount otherwise You will not get the cashback. If you had not got your cashback till now. Don’t worry it would be soon credited into your account within 5 days of your transaction. 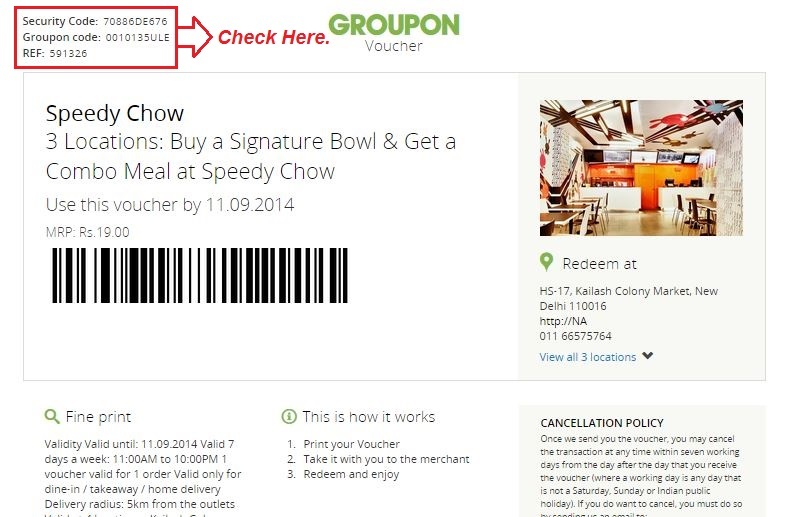 Groupon Paytm Offer : Groupon is giving Rs 1100 cashback in your paytm wallet when you buy this deal from groupon. Enter your groupon id and your order details. Refer to your voucher to know security code and groupon code . Groupon credits will be credited on first week of July. These Credits would be valid till 10 Oct 2015. Pay Rs 501 and get Rs 550 Paytm Cashback [one time only]. 95 Responses to "Nearbuy Paytm Offer – Pay 501 & Get 550 Paytm Cashabck"